Calling all sangria lovers! You can celebrate your love for sangria and the holiday season with this easy, four-ingredient, two-step sangria. 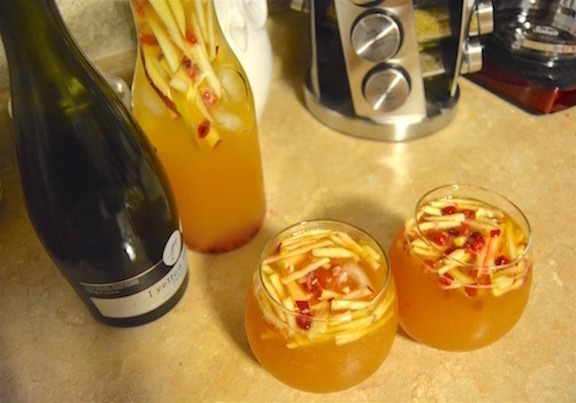 Unlike some summery sangrias which may have more prep time involved, this simple Sparkling Apple Sangria is refreshing and deliciously perfect for holiday get-togethers or parties! Add the apples to a large pitcher reserving about 1/2 cup for garnishing. 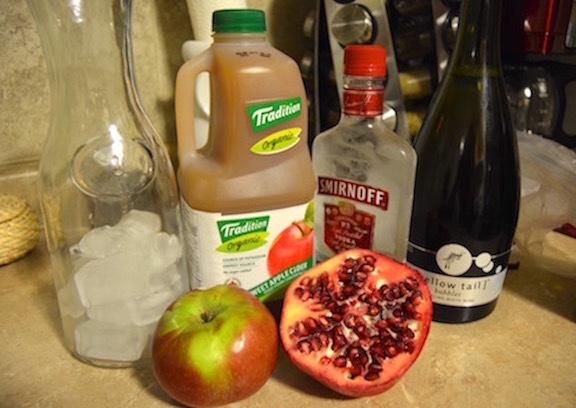 Add the vodka, apple cider, and chilled sparkling wine. Stir.